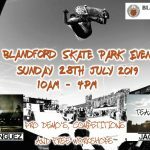 Bluebell skatepark is Hull’s largest outdoor skatepark and was built as a result of campaigning from local skaters. It is all concrete and is an extensive transition oriented park with many different bowls for all abilities. 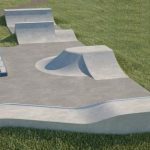 This skatepark holds two main bowls: one smaller, more standardly shaped one and a huge bowl with a unique shape like no other. The smaller bowl is your usual kinked shape with two different depths and coping running around the edge with a flat bottom. It is aimed more at those who are just starting out with bowl skating. The main bowl here though is gnarly and is comprised of three main shapes. There is one large rounded bowl with two pump bumps in the middle to help maintain speed and an open side that leads into the middle of the three bowls. The other two sections are lined up next to each other to form one long spine, however one is long and thin forming a half pipe and the other is more open with a pump bump in the middle again to maintain speed. There are also a few ledges on the platforms around the edges of the bowls for sitting and watching or grinding along. This is a great skatepark and the surfaces here are super smooth. There are enless lines that can be hit here due to the size of the skatepark and also to the unusual shape of the bowls. 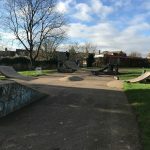 It is an essential spot if you live in Derby but also it is definitely worth visiting if you are a transition skater as the lines are challenging and unique. 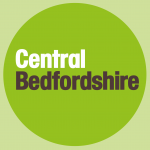 Garrick Close bus stop: Exit the bus onto Bellfield Avenue and Ings Recreational Ground, in which Bluebell Skatepark is based, will be in sight.